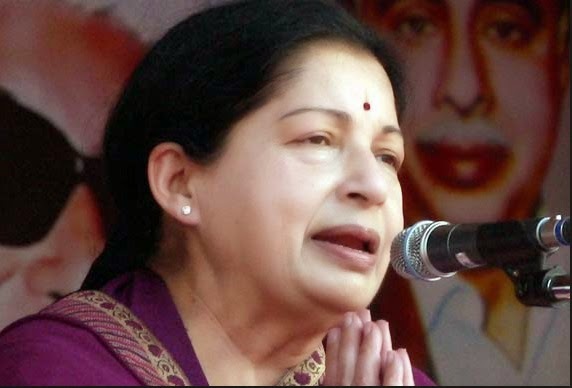 BANGALORE: AIADMK supremo J Jayalalithaa will have to spend at least five days more in jail here as the Karnataka High Court today adjourned to October 7 she pleas seeking immediate bail and challenging her conviction in the disproportionate assets case against her. As the matter came up before the vacation bench, noted lawyer Ram Jethmalani, counsel for Jayalalithaa, pleaded for suspending the sentence pending appeal under Section 389 of the Criminal Procedure Code and for her release on bond. Section 389 states that pending any appeal by a convicted person, the Appellate Court may prescribe that the slaying of the judgment of conviction or order appealed against be suspended. Likewise, if the individual is in confinement, that he or she be liberated on bail, or on own bond. G Bhavani Singh, who was a Special Public Prosecutor in the Special Court in the disproportionate assets case, told the judge that he had not yet received any official notification appointing him as the SPP for the criminal appeal filed in the High Court. "I read a report appearing on a daily about my appointment as the SPP to handle the case, but I haven't received any official notification appointing me as the SPP," he said this on yesterday. But today he argued in the court that she should not allow to release in bail. "Since I haven't received the notification, I am not authorized to represent the case," Singh added. Singh sought more time, at which point the vacation bench judge, Justice Rathnakala posted the matter for hearing on October 7. In her petitions seeking immediate bail and challenging her sentence, Jayalalithaa has maintained that the charges of amassing wealth against her were untrue and that she had acquired property through legal means. Jayalalitha has also contended that the trial court has overlooked several judgements and has not considered the binding nature of various income tax orders and decisions of the Income Tax Appellate Tribunal, which had accepted the income and the level of expenditure pleaded by her. The pleas of former Tamil Nadu Chief Minister's aide Sasikala, her relatives V N Sudhakaran, disowned son of the former Chief Minister, and Ilavarasi, who have likewise prompted the High Court seeking bail and challenging their conviction, were also placed for hearing on October 6.il and challenging their conviction, were also posted for hearing on October 6. In a verdict on Saturday at the end of an 18-year old legal battle, Special Judge John Michael D'Cunha had convicted Jayalalithaa, sentencing her to four years imprisonment, and slapped a staggering fine of Rs 100 crore in the Rs 66.65 crore corruption case. In her appeal, Jayalalithaa pleaded for suspension of the condemnation and the judgment of conviction and also declined to ante up the Rs 100 crore fine imposed on her. The hearing came up before the vacation bench as the High Court is on Dasara holidays from September 29 to October 6, now finally this case postponed to October 7th that is after Dasara Vacation holidays.